Jana Dreyzehner is unique. Quite literally, she is one in about 81 million. "I specialize in special populations," she noted. "As far as child psychiatrists who sign, I think there are four of us left in the country." 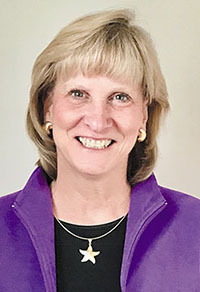 Leaning toward medicine throughout her youth, Dreyzehner's experiences in high school learning to sign and working with deaf children and adults with autism led to her specialty. As president of a service club at her Illinois high school, Dreyzehner was asked if she would learn to sign by six deaf students who wanted to participate. She and one of the girls, who had both lost siblings in car accidents, became especially close. "Her encouragement and teaching of not only sign language, but also deaf culture and firsthand experience of healthcare access inequities, influenced my career path greatly," Dreyzehner said. After graduating from the University of Illinois, Champagne-Urbana with a degree in psychology, Dreyzehner relocated to the university's Chicago campus for medical school. While in school, she worked at a group home for developmentally disabled deaf adults. It was her routine with one young man to give him two quarters to put in the soda machine. Checking on him in the hospital, he immediately began asking for his soda. "He was misinterpreted as being threatening and aggressive as if he were pounding his fist into his hand in a threatening gesture - the sign for soda pop ends with the thumb side of a fist hitting against the other open palm," she explained. "He was placed in four-point restraints where he couldn't communicate with sign and was heavily sedated." Dreyzehner said she vividly remembered the feeling of helplessness when she was called back to the hospital and found out what had happened. "I decided at that time that I wanted to be able to prevent that kind of misunderstanding and unnecessary suffering." A big believer in self-determination and supported decision-making, Dreyzehner is aware of the unique communication challenges many of her clients face. She also recognizes the difficulty in balancing an individual's right to privacy with the need to share health information but believes better coordination is critical. "Many people are doing great work in their own shop or silo, but it is not the norm for people to bridge those silos with effective communication because it is not adequately incentivized or rewarded ... and in some cases, it's prohibited," she said. However, Dreyzehner continued, being able to connect the pieces through a specialized medical home for individual's with intellectual and developmental disabilities could better alert the spectrum of providers to behavioral triggers or physical issues in a population that has a hard time articulating needs. "I envision creating a care coordination system that will allow a person to maintain their relationships with service providers and have information and communication shared between providers as they move through different levels of services, as needed," she explained. Dreyzehner added she would like to see such a system include a comprehensive assessment to build an individual care plan, a service intensity index and outcomes measures to guide treatment, and the use of peer support specialists. Dreyzehner was a proponent of telehealth before it was widely used. 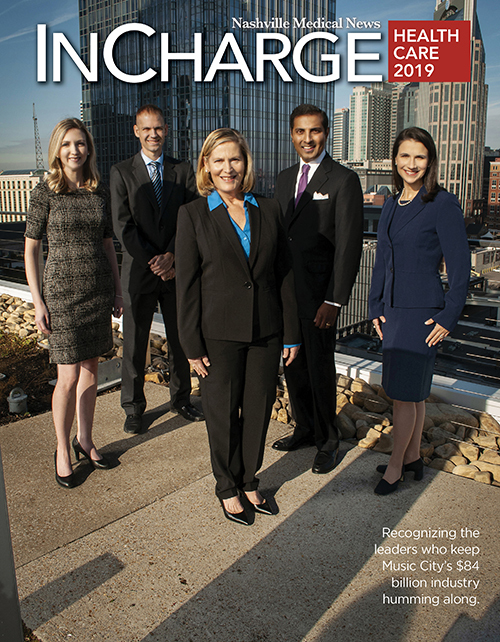 With patient need far exceeding provider supply, the technology has allowed her to serve a much broader geographic region from her Nashville base. Besides, the premise of being in two places at once is what allowed Dreyzehner to finish her medical degree. 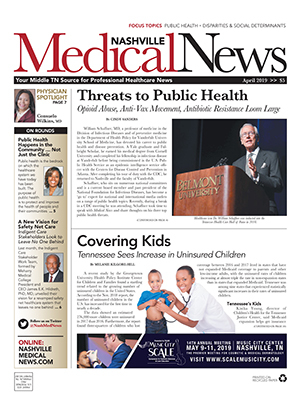 She met her future husband, Tennessee Department of Health Commissioner John Dreyzehner, the day before medical school started at a student mixer, and the couple wed before her final year. "I moved to Virginia before I graduated med school to be with my husband," she said, adding his military service precipitated the move. She was able to arrange all of her rotations in the D.C. area and gave birth to the couple's first son. "I didn't step foot on my campus my whole last year of training until I went back with my son to graduate," she recalled with a laugh. Today, the Dreyzehner's two sons - John and Jason - are grown with John recently deciding on a career change as he prepares for medical school at Johns Hopkins, and Jason living and working in Atlanta with his new bride. Whether with family, friends, or clients, Dreyzehner finds joy in reaching out and connecting. "I love learning about other people's lives and joining them to help make their life better ... and in doing so, my life is better, too."